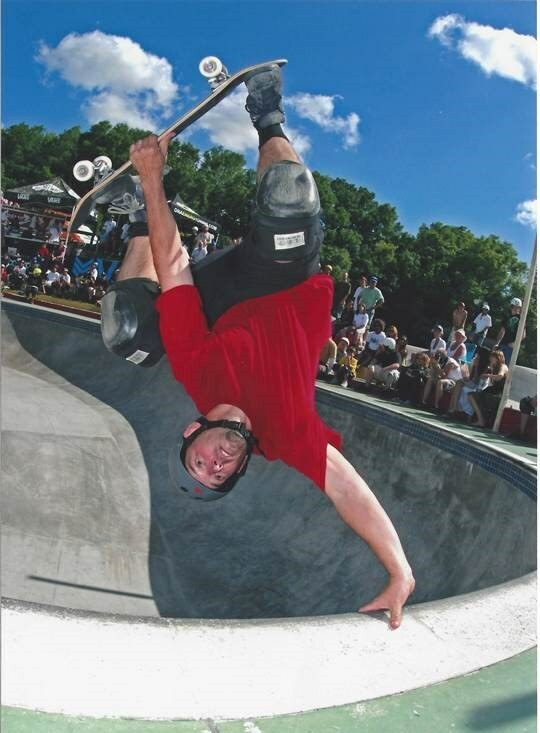 Kona Skate Park is one of the most iconic skateboarding parks in the world, and you can experience it in Jacksonville’s Arlington neighborhood. In June of 2017, this iconic park will turn 40, and the entire city is celebrating the big anniversary with a massive 4-day festival at Kona. Park owner, Martin Ramos, shares with us the history, present and future of this Jacksonville skateboarding jewel! What makes Kona so special? MARTIN: Kona has survived three economic recessions and all the ups and downs of the action sports industry. That has made it the longest surviving skatepark in the world. The most common question asked is how? The answer isn’t a simple one, but what I keep coming back to is one simple concept, community. When my parents re-opened the park out of bankruptcy in 1979, they dedicated it to “The Youth of Jacksonville” and instilled core values of family and community. This was pretty rebellious, especially for the skate community of that time. Kona didn’t allow any smoking or drinking and made sure everyone used the appropriated language and behavior. Not a popular stance in the 70’s where you could smoke on an airplane and go through a drive through liquor store for a cocktail. But we have carried on those values and our Jacksonville community embraced Kona and has fueled a skateboarding scene that is unlike any in the world. Kona is home to a lot of “firsts”, which one are you most proud of? MARTIN: Kona is the ultimate DIY experience. Everything was changing fast and there were no standards or rules guiding what happened in regard to skatepark design and the evolution of competitive skateboarding. Plus, it was really underground, not popular at all. So, as we were trying out different things, and skaters were progressing and pushing boundaries, it was just a matter of survival. In the process, at Kona we stumbled upon some groundbreaking moments like the invention of the modern “Vert” ramp, which has probably impacted skateboarding the most. It really opened the doors as to what was possible on a skateboard. The fact that we kept trying to figure it out was pretty courageous because constructing a 1/2 pipe that didn’t work put Kona into its second bankruptcy in less than two years. That’s when my parents bought the park and continued experimenting with skatepark design. Ultimately, we learned from their mistakes and created a workable 1/2 pipe. Then that design was improved by adding a flat bottom between the two walls. That was the first ever “Vert” ramp. The flat bottom defines the difference between a 1/2 pipe and Vert ramp. It gets a lot more complicated when you add in the variables of height, radius, width and distance. We basically stumbled upon what did actually work. At the time, it was just something really fun to skate, but when looking back, it was a pinnacle moment in the history of skateboarding worldwide. How big is the skateboarding community in Jacksonville? MARTIN: Jacksonville is a multi-generational skateboarding community. It’s common for a grandparent to bring his son and grandson to Kona, and all three are skating. The grandparent would be talking about being here the first-year Kona opened, and how he brought his son here. Now they are introducing their third generation to skateboarding. There is so much passion in their voices as they speak about growing up as a skateboarder here at Kona. Those tender years as a child really shape who you are and what you do. That has carried over into the entire skate scene here in Jacksonville. There are some pretty expansive private skate facilities in people’s backyards all over town. Plus, just look at how crowded the public skate parks are daily. These facilities see more use than anything else our Parks and Recs system offer, and when Kona throws an event, its amazing how many people show up. These public parks and private backyard spots create their own little skate communities, and when you bring them all together, to one central place, its pretty impressive. How has skateboarding shaped your life? MARTIN: It’s all I have ever done, and kinda scary actually. I’m eternally blessed to be able to have followed my passions and work where I play. It’s taken me coast to coast countless times and allowed me to experience and do things most people only dream about. It’s a unique lifestyle and to be able to pay the bills and continue forward is special. When I was very young, my friends and I would wonder how long we would be able to continue doing this. Grown ups simply didn’t skate back then. But now, being adult and still riding a skateboard almost seems normal. I still get a few strange looks being in my late 40’s and walking through the airport with a skateboard in my hand. I’ve been able to stick to the core values, instilled by my parents, of family and community. I’ve got an awesome wife and three children that are at the center of our world. My oldest is twenty-two and has been traveling and working with me since she was twelve. I really couldn’t ask for a better life. Even with all the ups and downs and challenges along the way, it has certainly been worth it. Share with us one of your favorite Kona moments? MARTIN: It's impossible to simply pick one moment that is above all the rest, plus, the moments keep coming. What I have come to realize is that you really don’t know you are in a moment until that time is long gone away. Growing up at Kona, as a skateboarder, no one really cared back then. It was too new and hard for people to understand. Now that skateboarding is old enough, people are starting to look back at its history and pick out those moments that were impactful. I just feel fortunate that Kona is a big part of that history and continues to create more of those moments each year. What can we expect at the Kona 40 celebration? MARTIN: Kona’s 40th is more about the Jacksonville skate scene than about Kona itself. It crosses over to both surf and skate, and art and music will be a huge part of it too. This event will be about the impact Jacksonville has had on the entire action sports community around the world. 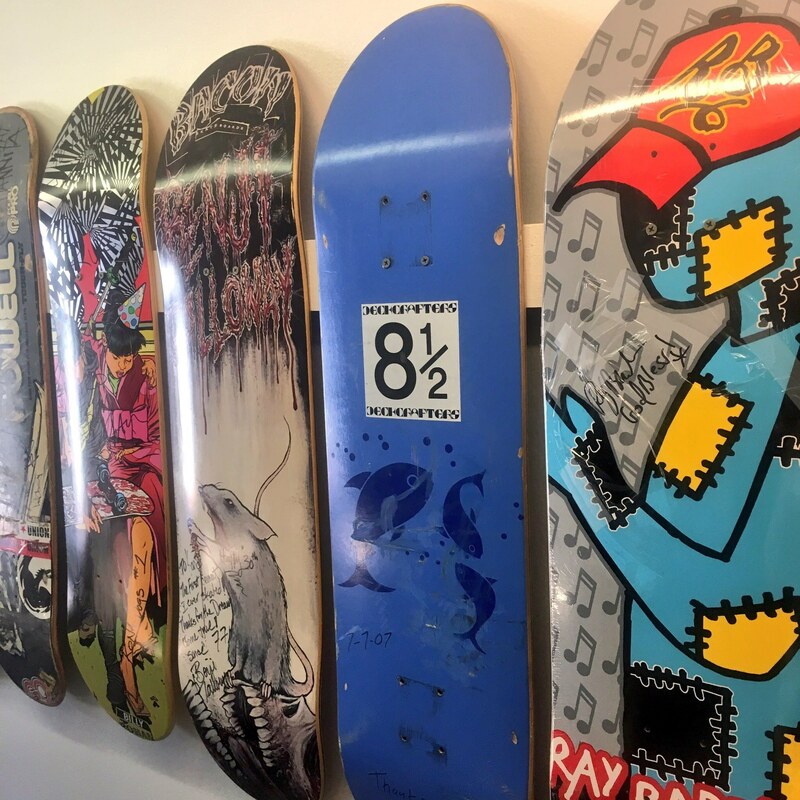 Over twenty career professional skateboarders have come out of Jacksonville over the past forty years, and when you add in professional surfers, musicians and artists, whose roots are also in skateboarding and in Jacksonville the number can be quite impressive. Not a lot of cities around the world boast this massive amount of individuals that have had international success like Jacksonville does! So, expect a blend of music, art, culture and of course a ton of skateboarding. Legendary skaters along with today’s top professionals will be on hand to compete, skate, play music, create art and rub elbows with the Jacksonville community. It will be an amazing week to say the very least.